Visiting researchers – recruited globally – will reinforce the University’s research competence. 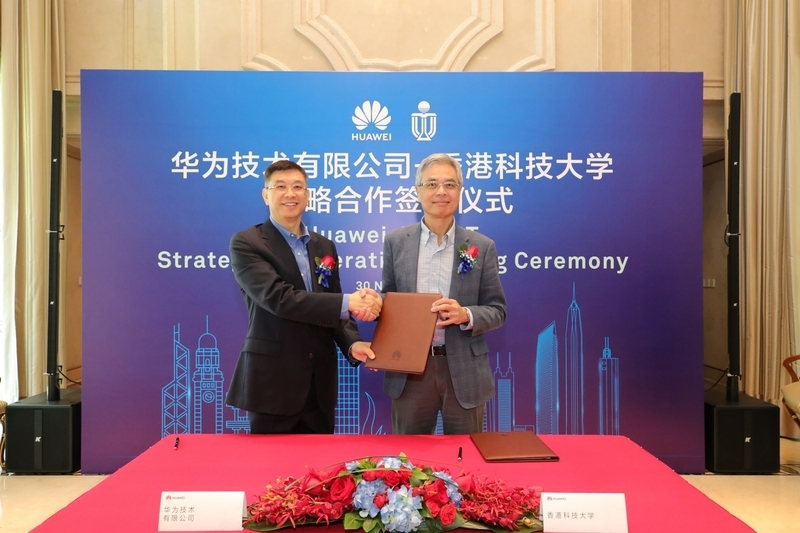 According to a recent press release, The Hong Kong University of Science and Technology (HKUST) and a massive multinational telecommunications company have formed a strategic partnership to promote high impact research and strengthen the University’s academic calibre. The telecom company – a leading global provider of information and communications technology infrastructure and smart devices – has multiple partnerships with institutions around the world but it is the first such partnership that focuses on research and talent grooming. The Hong Kong University of Science and Technology (HKUST) is a world-class research university that focuses on science, technology and business as well as humanities and social science. HKUST offers an international campus, and a holistic and interdisciplinary pedagogy to nurture well-rounded graduates with global vision, a strong entrepreneurial spirit and innovative thinking. Under this partnership, the telecom company will contribute an annual sum of US$3 million for a term of three years to the University for recruiting top-notch visiting researchers from various disciplines and establishing seed funding for high impact research. The visiting researchers – who will be recruited globally – are set to reinforce the University’s research competence through academic and research collaborations with HKUST faculty; they will also help nurture research postgraduates of the University. With regards to the social aspect, they are expected to participate in conferences and activities organized by the University to help raise community interests towards latest scientific and technological discoveries and to facilitate the region’s socio-economic development with their innovation and research. Part of the funding provided by the telecom firm will also be used as a seed fund for discovery-driven research in potential high impact areas such as information and communications technology. The Chief Strategy Marketing Officer of the telecom company and a member of its Board of Directors said that HKUST is a renowned university focuses on basic research, and it is a common goal to spearhead innovation by nurturing and attracting the best of talent. Given its long history of collaboration, the firm is sure this new partnership will bear more fruits not just for the firm’s own benefits but the society and the region as a whole. The HKUST President noted that the university’s collaboration with the telecom dates back to 2004. Over the years, it has not only resulted in many patents and standards but also nurtured great talents, some now leaders in the field. The telecom’s funding will substantially help HKUST to further advance its mission, the President noted. The joint Innovation Laboratory was set up in 2009, studying topics spanning advanced wireless communications, core technologies for 4G, 5G+ wireless systems and machine learning algorithms. Professionals from the two sides regularly exchange ideas during projects, seminars and conferences. A full-day workshop co-organized by the two parties in November, for example, attracted over 150 attendants. HKUST attained the highest proportion of internationally excellent research work in the Research Assessment Exercise 2014 of Hong Kong’s University Grants Committee, and is ranked as the world’s best young university in Times Higher Education’s Young University Rankings 2018. The university’s graduates were ranked 16th worldwide and top in Greater China in Global Employability University Survey 2018, proving that it is a serious contender in the arena of the R&D of tech and innovation.